The 86th annual Oscar nominations were revealed this week and it might comfort everyone to know that along with them was the announcement that the theme of this year’s show will be — MOVIE HEROES! Hmm. And I always thought it was excellence. Silly me. Of course, the Oscars have never been solely about excellence and those who are nominated and win awards in their categories are not necessarily THE best in the world at what they do – even though one or two can be. In that way, they’re a lot like life. Those who are paid the highest salaries, receive all the adulation and consistently seem to be the most in-demand are on top due to a lot more (and sometimes less) than great work. So why would it be any different in, of all places, Hollywood? Aside from skill and talent (Note: In order to be considered outstanding and award-winning by the status quo both are essential to posses in some form, though usually on a sliding scale of merely average to outstanding), there is also luck, timing, fate, ambition, single-minded focus and hard, very hard, and very, very hard labor involved. Remove any one or more of these and the balance can be tipped for or against you not only on the most iconic awards stage in the world but in any other stage of life you find yourself playing in for all of eternity. You know she never sleeps. Anyone employed in an office where they’ve done a great job but find themselves now under-employed or denied the promotion they deserve by any objective standard, knows this to be true. Well, the movie industry is no different than that office except with a lot better clothes, more money and an excess of fantasy-provoking public attention. Life is not always fair. And if you compare yourself to others – like award nominees or winners – you are sure to end your day in abject misery. Note: To be fair, I think Dad simply said you’ll be unhappy. But as a writer, abject misery sounds so much better to me – which should be a lesson within itself. Of course, knowing all of this intellectually doesn’t in any way prevent any of us, particularly me, from whining, moaning, complaining and being periodically or endlessly obsessed for at least a day about the injustice of the Oscar nominations this week. As for other things in life – well, aside from Chris Christie – was there anything else really even going on? Oh, don’t even try to deny it and DO NOT write in arguing with me about our mass reaction to the nominations because there are two reasons I know this is true. 1. 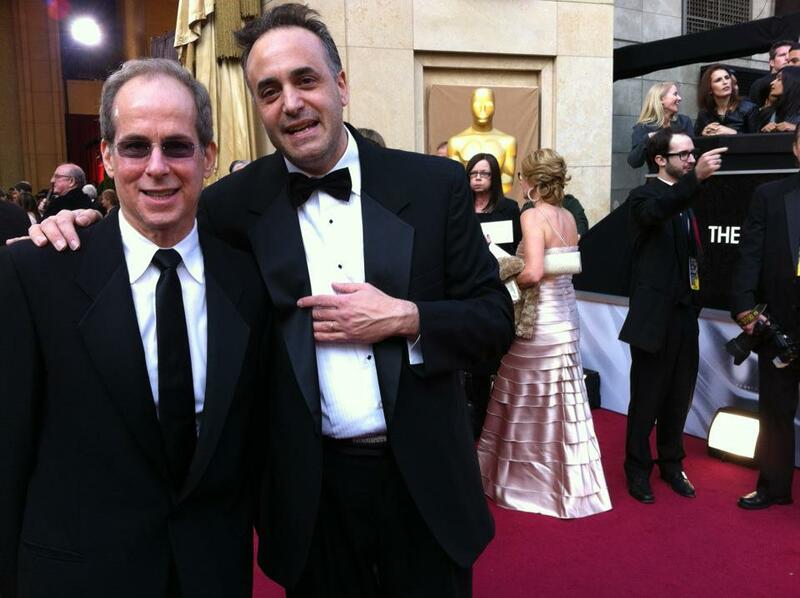 Of all the photos I have ever posted on Facebook or have ever been posted about me on Facebook the only one that has EVER received over 500 likes and hits was that snapshot of myself and my partner in tuxedos at the Academy Awards two years ago posed in front of a large 10 foot tall fake Oscar. This says everything about you and what you like out there and less about me. Though, can you imagine if I were even nominated or had actually….won that night? I would’ve long ago reached that 5000 Facebook friend limit and might have to start having my assistant return or not return your texts, emails or, perish the thought, phone calls. Though I suppose I could simply take to Twitter so u can stay abreast with what I’m doing at random hours of the day or night. @Cher @EllenBarkin @MiaFarrow R U #Listening? 2. The most bizarre memory I have as a young person in Hollywood was being pressed up against 1948 best actress Oscar winner Loretta Young in a tiny elevator backstage at the Dorothy Chandler Pavilion in the early 1980s after covering my first Academy Awards as a reporter. She had presented best picture, I was done phoning in stories to the desk at Variety, and the two of us plus 25 other very desperate people would have done a lot more to get out of there after four and a half hours in luxury hell. Rammed against her sequined dress with my eyes almost touching her neck I found myself searching for plastic surgery scars out of sheer nervous boredom. And, I’m happy to report, could find none. And yes, I know this story says more about me than it does you but it still feels relevant to what one really remembers about the industry when all is said and done. Okay – now that we’ve established my and your obsession with these awards, let’s examine (nee – take apart) this year’s just a little bit. A. HEROES IS THE THEME? – I’d fully expect to see Batman walking hand in hand with Atticus Finch were Gregory Peck still alive and either Christian Bale, George Clooney or Michael Keaton were still willing to put on the suit outside of a studio soundstage. (No, Ben Affleck doesn’t count – he’s not Batman – yet). Since no portion of that can realistically happen, why oh why do we need a…. THEME? This isn’t an amusement park or….. wait…. okay, it is a bit of an amusement park – point well taken. Still, the show’s producers explained that “We wanted to unify the show with an entertaining and emotional theme.” How odd to publicly admit that movies themselves have ceased to do this for audiences as a whole. And how much do I want my personal movie hero, Mary Poppins, to make an appearance this year even though the film about her origins, Saving Mr. Banks, was totally ignored by the Oscars. Don’t drag me into this, Chairy. B. HYPER REALITY – We seem more and more to live in either a virtual world or a fake version of reality so why shouldn’t the most popular movies of this year be reflective of that. Consider all of the hyper texts of four of the films that will battle it out for best picture of 2013 – American Hustle, Gravity, 12 Years A Slave and Wolf Of Wall Street. They are adrenalin-fueled versions of the highest of the high and the lowest of the low moments in human existence. They leave no room at all for anything small or basic or simple. Clearly, that’s out of fashion. And don’t tell me that there are five other movies competing– Philomena, Her, Nebraska, Dallas Buyers Club and Captain Phillips – that are smaller and more basic. They have NO chance of winning and have none of the urgent buzz of the moment. Mostly because they dare not to be as flashy. Ahem… cough.. cough… Remember me? C. NINE BEST PICTURES BUT FIVE BEST DIRECTORS? – Clearly, those four other nominated movies either directed themselves or don’t deserve to be singled out as the best. OK, Let’s just admit it – it’s the latter. 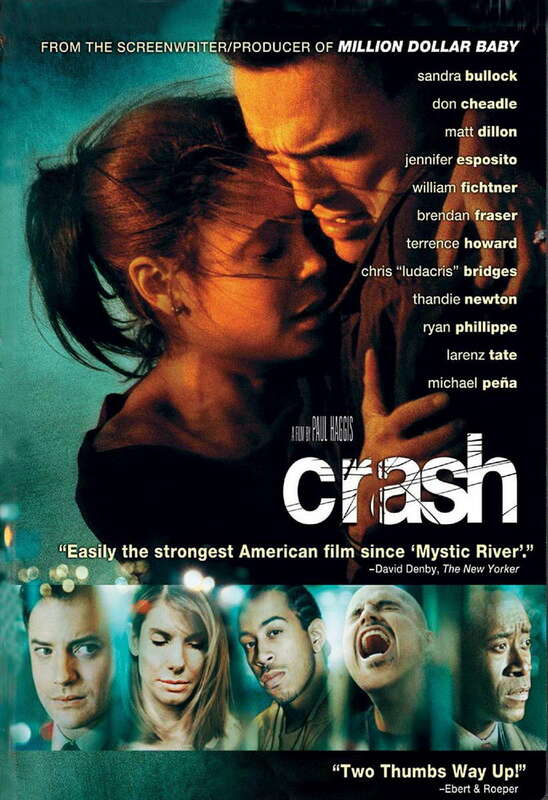 When the Motion Picture Academy decided several years ago to broaden the amount of nominees in the best picture category from 5 to a possible 10 (depending on the number of votes each nominee gets) it felt a bit forced. By whom I’m not sure but it certainly seems clear that the more movies that can slap an Oscar nominated Best Picture tag on its advertising the more chance it has to make money. Not to mention the greater potential of better ratings for the broadcast of the Academy Awards since then there is a likelihood that with more nominees there will be more blockbuster films in contention that more members of the massive worldwide audience will watch. This in turn translates into higher ad rates charged for the show and more money for everyone all around. And you thought this was just about hero worship. D. FRUITVALE STATION and SHORT TERM 12 – These are two of my top ten movies this year. Hell, they are two of the ten best movies this year by any measure (Note: if you disagree, you are just plain wrong). 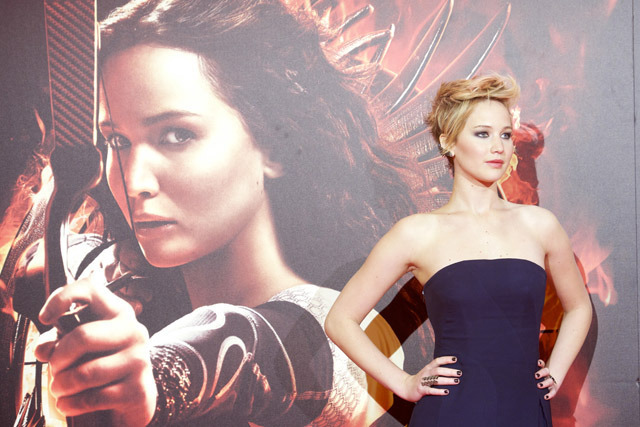 Yet between both of them they have 0.0 Oscar nominations. Now let’s see – what do they have in common? Well, they are both very simple stories, unadorned by irony, over-the-top moments of stylized frenzy and technical effects or cutting edge cinematography and special effects. What movie world are Academy members living in? Has it really only been several years since Beasts of the Southern Wild and Precious were nominated in multiple categories? When did more become…MORE. E. OSCAR ISAAC – I was at the Motion Picture Academy screening of the Coen Bros. 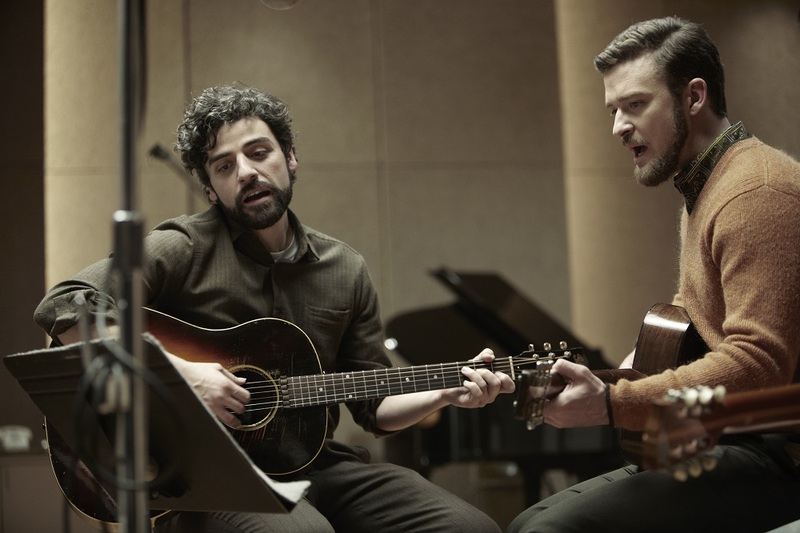 Inside Llewyn Davis last month and I could immediately tell from the confused and somewhat tepid reaction among the majority of the audience of people who I was even younger than – that the film’s Oscar chances were nill. Well there’s a performance we won’t see on TV now.. However, what I felt sure of was that the tour de force performance of Mr. Isaac as the title character – a brilliantly talented folksinger in 1961 Greenwich Village who offstage was consistently his own worst enemy –would be given Oscar love. Isn’t it enough to command the screen in almost every scene, do all of your own singing quite brilliantly, and be charismatic enough to make even the most esoteric moments of a very unusual movie work in your first starring role? As Amy Winehouse once sang: No, no, no. F. BEST PERFORMER? – MSNBC pundit Krystal Ball (yes, that’s her real name) asked a guest on The Cycle on the day of the nominations if there wasn’t something a bit retro about the fact that the Academy Awards have separate categories for male and female actors. Think about it – there is not a category for best female designer, editor, writer, producer or director? Why are we still separating the sexes this way and what does it say about the rest of us that we don’t even question it? I have to reluctantly admit that this has never occurred to me because, well, it’s just the way we do it – right? Uh, well, that logic would then mean a marriage should be solely between a man and a woman and you KNOW that I don’t fall down on that side of the argument. Yes, this is leftover from the star system and the old days where men were men (who sometimes acted like boys) and women were women (who seldom felt comfortable trying to acting as powerfully as the guys did). Plus, the more star categories the more stars you get to turn out and the more general attention you get. Well then – why not increase the categories but do it by film genre (eg, comedy, drama, sci-fi, blockbusters). Oh fine, I can see you all rolling your eyes from here. But ask yourself – why? G. AMERICAN HUSTLE HAIR (NON) RAISER – I’m a fan of American Hustle and am happy that it led the field, along with Gravity, with 10 Oscar nominations. However, it clearly should have stood alone with 11 nods because the one category it wasn’t nominated in was the one in which it was a sure contender – BEST HAIR!!!!! Fine, maybe this is because the category is technically titled makeup and hairstyling. But then how do you account for the two other nominees aside from the obvious Dallas Buyers Club? Those would be two films we like to call: Jackass Presents: Bad Grandpa and The Lone Ranger. DO NOT tell me Bradley Cooper’s curlers, Christian Bale’s comb over and Amy Adams and Jennifer Lawrence’s use of hair spray alone don’t put AH at the top of this list. Do NOT even go there because I will cut you…and where it counts. Is there award out there for hardest working double-sided tape? 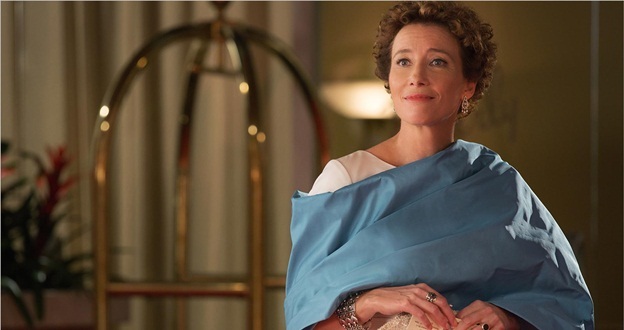 H. GO FLY A KITE – This is the last time I will write it – Saving Mr. Banks is old-fashioned, corny and reduced me to tears all through the third act. When a movie does that all subjective judgment gets shoved aside and I have to honestly report – I loved the film. 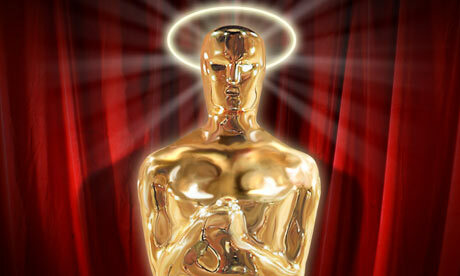 And, I guarantee you, I am not the only one in the entertainment industry, or among Oscar voters, who feels that way. Don’t worry Emma, you’re still fab. But here’s the issue – it’s not au currant or even publicly acceptable to just simply use emotion as the barometer for whether a movie is among those judged the best of the year. I’m not sure why this is the case but it has been for more years than I can remember. At the end of the day, I feel an obligation not to dismiss movies that are on the surface uncool but still manage to profoundly affect me for those two hours (more or less) I’m sitting in the theatre or at home. 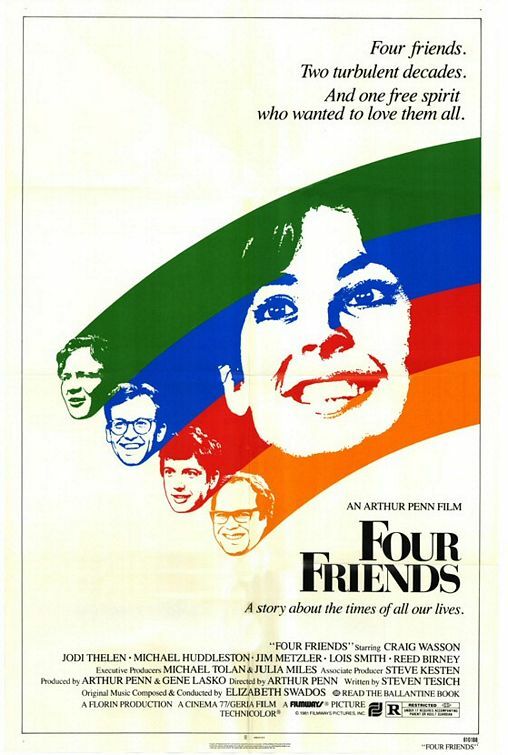 I learned this decades ago as a film critic when in my heart of hearts I couldn’t give bad reviews to movies like Arthur Penn’s 1981 Four Friends – a film roundly criticized at the time for being old-fashioned and maudlin by most reviewers but one that I knew had affected me in profound ways despite its flaws. In fact, when I close my eyes and think of the 1960s and 70s I can still hear Georgia on my Mind, the recurring theme song in that movie in honor of one of its lead character Georgia – the bohemian gal three high school age guys thought they were in love with. Write in and tell me yours.